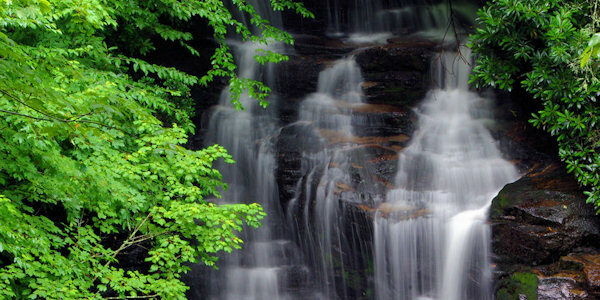 Soco Falls is a beautiful, double waterfall on the edge of the Cherokee Indian Reservation, located between the towns of Maggie Valley (5.5 miles) and Cherokee (10 miles). 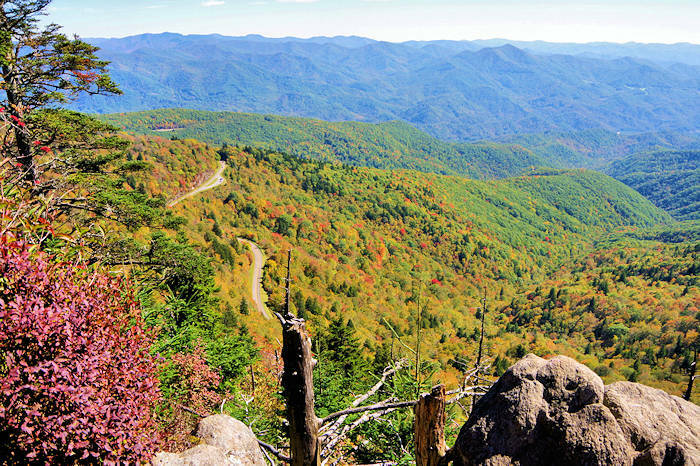 Enjoy it from a platform via a short walk from US Highway 19, just 1.5 miles south of the Blue Ridge Parkway (at Soco Gap at Milepost 455.7). 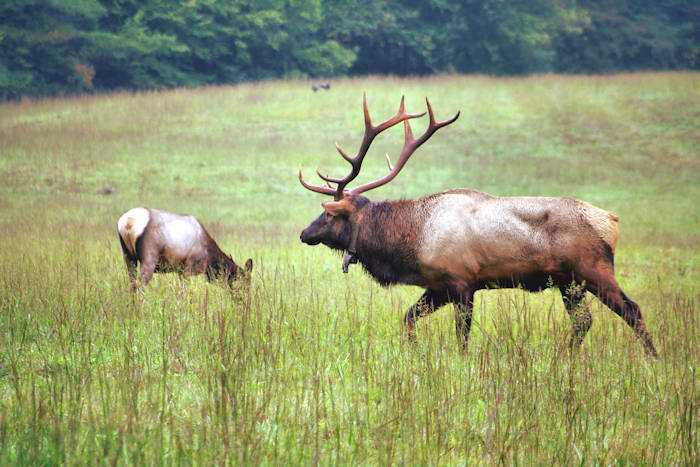 If you are driving from Maggie Valley, go 1.5 miles past the Blue Ridge Parkway crossing. Before you reach the waterfall, there is a small blue "Soco Falls 1/2-mile ahead" sign (but it's only about 1/3-mile ahead). Look for the small roadside parking area on the left. It is easily missed since there is just one tiny sign. You can hear the falls from the roadside parking. The trail starts at the break in the guard rail. 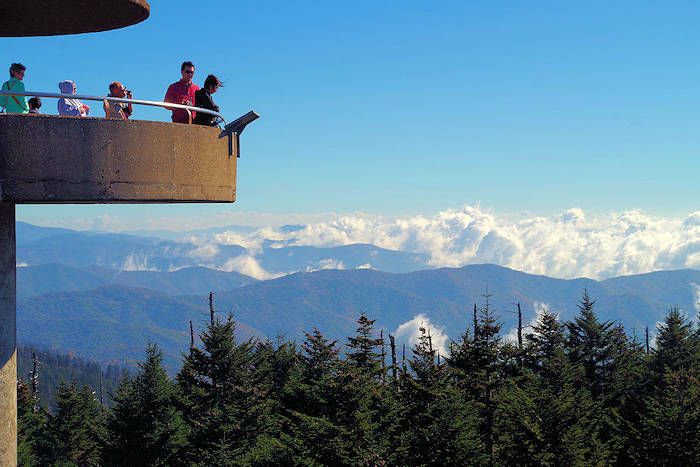 It takes less than five minutes to walk to the observation deck to view the taller falls, which are 120-ft. In the winter months when there are no leaves on the trees, you can also see the smaller falls on the left. 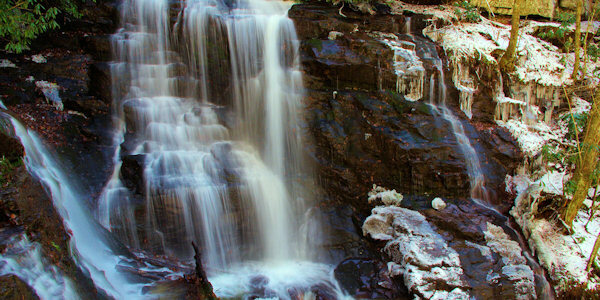 For a closer view, continue down a steep trail from the deck to the base of the waterfalls. Be careful, this section has some ropes to help with balance and can be very slippery. 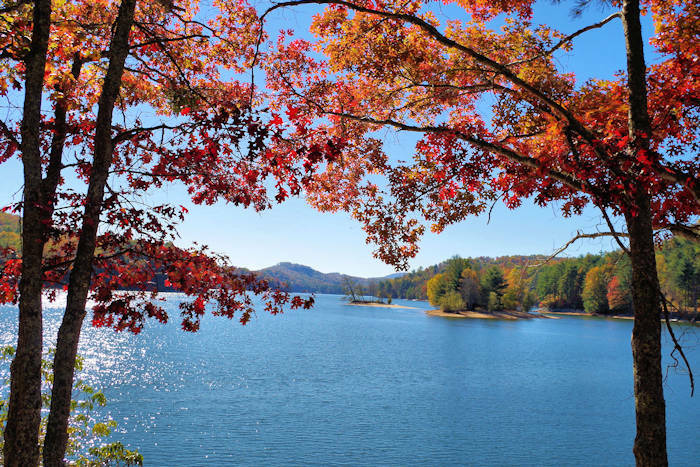 Soco Falls is also 9.3 miles from Harrah's Casino in Cherokee and 40 miles from downtown Asheville. 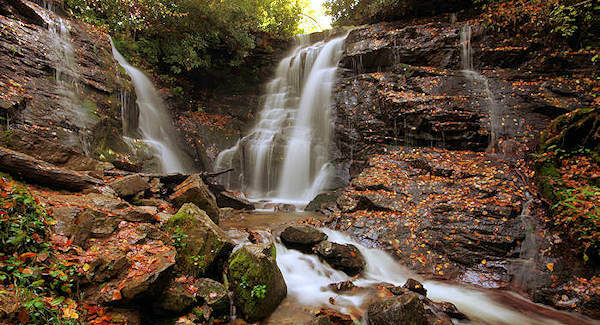 You can find Mingo Falls in Cherokee. 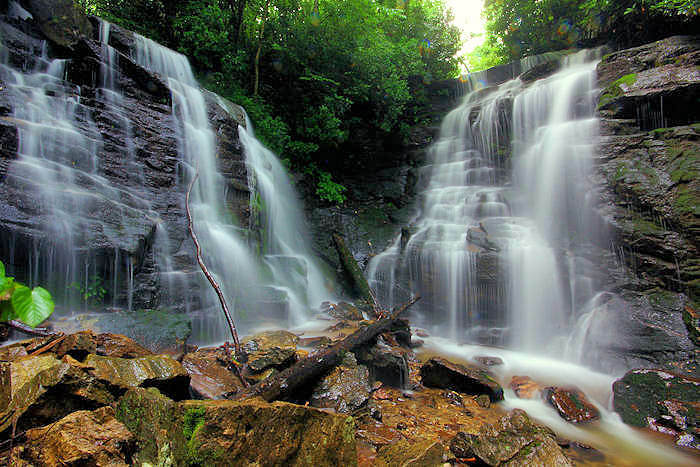 Plus, see other waterfalls along the Blue Ridge Parkway. Soco Gap was used by the Cherokee in the 1700's as the main entrance to their land from the North and the East. They used it as an outpost for ambushes as well. Watch video: Soco Falls in the summer. Watch video: Soco Falls in the winter.